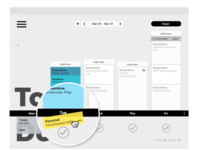 Streamtime is project management software for creative businesses. We believe in creating tools that treat creatives as humans, not robots. With Streamtime you can create jobs and projects, plan and track time, and schedule your team. Take advantage of one click quoting and invoicing direct from your job plan and hook up your finances with our Quickbooks and Xero integrations. Start for free and take advantage of a free, live 30 minute demo with one of our team. Streamtime contains everything we need to know about our projects, clients and suppliers. Pros: We have been using Streamtime for a number of years and the cloud-based platform is a vast improvement on previous iterations. It is very straightforward to log in and check the status on individual projects. You can easily add a new stage to a job, revise a quote, then send it off to the client for approval. One thing I really like about that process is having the client `approve a quote by clicking the button (although many of them don't seem to bother!). Support is good, always get a good response from the development team service is a key differentiator for me. Cons: Generally speaking the system is quite intuitive, but there are some elements of the interface that are not immediately clear the USED / PLANNED figures in the budget section of a quote, for example. That doesn't make sense to me, I think the total should include also include expenses, that would give us a running total that tell you when you've overspent. I haven't managed to output any useful reports as yet, but that might be because I haven't spent much time looking at that area. On the old Filemaker system I used to output reports that would give you a good indication of job performance. Overall: Helps us to keep track of project progress and manage a job from quote through to invoice. Thanks for the review Paul, We're looking at how we can improve that data on the job screen to better reflect the used / planned better. Streamtime - An emerging benchmark and future king! Pros: (1) Simplicity. Easy to pick up and a minimal/clean interface that responds quickly on the mouse and trackpad. Whip those cards into the Done pile as quickly as you can. (2) Quickness from job > job plan > quote // or from job plan > invoice // or a quick task added straight in the ToDo list for all of those 'urgent' jobs clients ask for. The pipeline from creating a job to completion and every interaction in between has been designed with real purpose. (3) Analytics: A rich engine to break down your time, costs, progress etc. Huge amounts in the pipeline too, watch this space. (4) Great for a freelancer, even better for teams. An excellent team schedule feature allows managers to easily manage WIP across a whole team. (5) Plenty more I can't think of off the top of my head. ... Last but not least - Customer service. It's second-to-none across any industry i've worked with or for! Period. Cons: (1) Still suffers a little bit only at this point in time because it is so new. One or two invoicing features haven't arrived yet but are in the short-term pipeline. You can get around these whilst in Xero for the moment though. Once these bad boys come in... i'll come back here and bump two of the categories up from 4 stars to 5 stars along with the other three categories to give it a perfect score... it's that good... And i've used many good systems over the past decade. It's worth jumping on board now to experience the software as it's certainly made dealing with our WIP much easier. Overall: From the moment you check out their website, see their innovative approach and understand the direction they're taking their software in, a wave of anticipation will most likely wash over you. Especially if you're looking for a user-friendly project management app with design and user experience at its core and a company behind it who practice true customer-centricity. 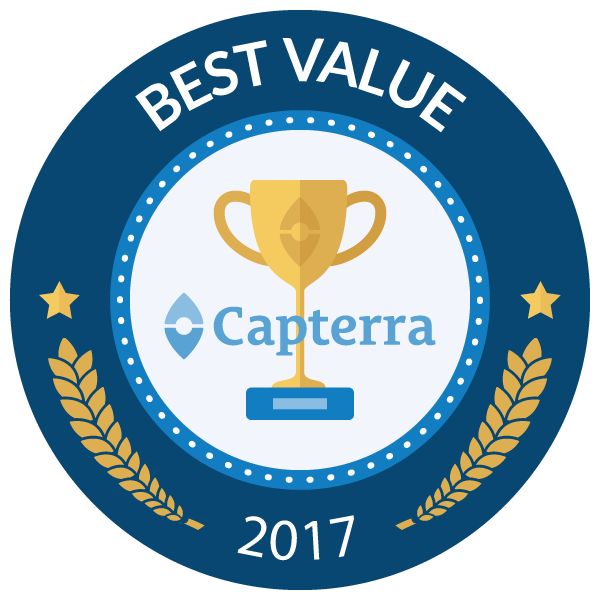 I say that because not only are they prepared to offer long-term value over short-term gains, I've never met a more hands-on team of people focusing on creating a product that aligns with their vision and also takes into account every last piece of user feedback. There is a genuine excitement about their product internally and that's reflected in their culture and service. Streamtime doesn't compete on volume of features' it falls way short of many out there and for good reason' they don't want to. Streamtime focuses only on the things that make project management simple and nothing else. Starting with the dreaded timesheet' gone are timesheets and timers. Streamtime lets you set up a simple ToDo list of cards (which house your jobs and tasks) and allows you to set and modify the time by simply resizing the card. Drag the card from the ToDo pile to the Done pile and that's it! You're making money. It really couldn't be simpler. Streamtime allows you to do many of the core functions that teams and individuals require without all of the redundant features that most people never use. Quoting, invoicing, integration with the world's best accounting system (Xero) are all well-thought-out additions. Granted, there is still work to be done on the options and functions for invoicing pre-Xero, but all of the must-haves are in the pipeline as we speak. Although the app and it's unique functionality are in its infancy, these guys literally don't stop improving every week. If a simpler, easier way to capture all of those bits of time that fall through the cracks isn't enough, then Streamtime's plans for future data interpretation providing real studio insights on staff and project compatibility is just out of this world. Streamtime is a forward-thinking software company with the balls to chuck the original playbook out of the window and start again from scratch. They had the foresight to work with an award-winning team of design-thinkers who challenge the status quo, and the guts to accept an exciting new direction and build something truly unique for creative agency professionals. Recommendations to other buyers: Follow the journey at https://streamtime.net/blog/tag/the-journey/ it explains everything. Everything I need to manage, track and report on workflow. Pros: Comes from designers. It's simple and easy to use. Can get to it anywhere with an internet connection. The user experience is just right for the industry and the tasks I have to carry out. The team regularly ask for feedback and they listen to it. They then action and adapt the software progressively and are alway improving it. There is always training available and support which is prompt and efficient. Cons: Originally I didn't like how large the header font was on the jobs and quotes etc. However it actually made me think more simplistically about naming conventions of jobs anyway. Plus they have listened to feedback and changed that now so you have options. Being with the system from the start and having been a long term user of the old Filemaker based system I know the company are simply trying to get it right so they do listen and tweak all the time. Overall: I really like them as a company. The ethos, the values and the friendly nature of the team. Professionals that enjoy getting the job done. I use Streamtime for my small one man design studio to plan, manage and invoice all my projects. Pros: Although you can work with complete teams in Streamtime, I use it for my little one man design studio. An I strongly benefit of it. Streamtime is very easy in use, both on desktop as on my mobile/tablet. In combination with the very simple/affective app it's very easy to manage and registrate my daily work. It really helps me to organise my jobs and daily planning. More important even is the fact that Streamtime makes me aware of the hours I spend on jobs and the urge to invoice them. All it takes is the dicipline of making a good start for a project. Which is very easy and intuitive in Streamtime. Once you've set up a project, small or complex, the rest is easy. I can't really say something about working with Streamtime in a team because I work on my own but I'm sure it rocks especially there! The support is very personal and effective. Overall: An easy project planning and time registration. This gives me a realy good insight in my way of working. Cons: Hard to think of anything to be honest. Maybe the time it took to adjust coming from a previous platform with a conventional structure. As things just work differently in Streamtime (in a positive sense) it takes some time to adjust to get the jist for it. Overall: Exponential learning curve from day 1 with high satisfaction on-coming. Support and help is also fantastic and responsive. As a front-end designer and developer I use the 'to do' section the most and it is definitely one of my favourites. Scheduling the tasks for the day or ahead for the week is a breeze - it's also great to be able to see in a few clicks what your team mates have planned for the week/day. Powerful features for budgeting and scheduling, worth the change! Pros: Very easy to manage your own and others ToDo lists, great project progress to budget, scheduling task in advance. The StreamTime team are very active with new product improvements, good communication and surveying of users to keep the product updated and in line with our expectations. Cons: It's my employers choice to use the software and I can see benefits and powerful features for budgeting and scheduling that we couldn't find in other systems. The dislike are minimal once you're over the learning curve; it's a very unique user interface compared to other similar products and some might find that a hurdle. Overall: I work in digital and am very conscious of user experience; StreamTime has made a bold move on the user interface and I think it's worth it! I really enjoy using it and haven't had any major issues with it. Without fail we use it every day to schedule developers and report on budgets against project progress. Pros: We like the overall simplicity and no-nonsense approach. Previously we tried many other alternatives including the big names such as workflow max. All of these platforms, while powerful, are incredibly bloated and a real pain to get anything done quickly. Streamtime customer support and attention to improving the platform are second-to-none. Cons: Nothing really, You could always want some extra features in particular situations - but that is always the case and often leads to Bloatware so we're pretty happy with it as it. Perhaps a really large agency would need more bells and whistles, but we're super happy. Overall: Streamtime is an agency job management toll that anyone that can pick up and start using immediately. We wanted to spend less time 'managing the management system' and simply get on with it. Streamtime has a nice and simple interface which is pleasant to use, and the constant improvements are a bonus. Pros: Simplicity of user setup is fantastic. 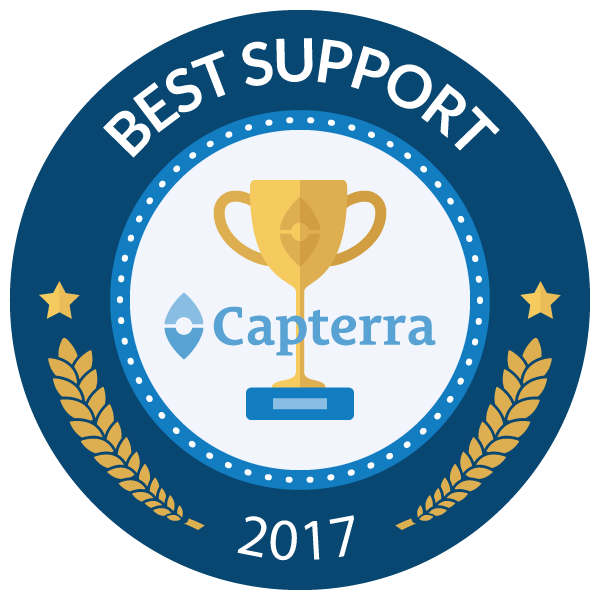 And even though the support is not really needed, the support team goes out of their way to ensure your questions are answered in relation to your organisation. This is a subtle but important point. The ongoing additions to the original release are not adding clutter as in many iterative software releases, but adding value. The recent release of the analytics console was brilliant. Cons: It cannot read my mind. I would like the developers to put some energy into a direct interface with my brain. Overall: We have been avid Streamtime classic users for many years. The opportunity arose to try the new version so we jumped at the chance. For a light fast moving group who need organising, but not managing and information but not inputs, Streamtime fits the bill. We started testing with a small sub set of our business to see if the new version of streamtime would work for not only the sub part but the larger main organisation. Recommendations to other buyers: The new version of Streamtime is not for an organisation that wants a direct replacement for timekeeping and job logging. Streamtime Classic does that far better. However, for an organisation that wants to make a shift in the way they empower their staff and create trust and information awareness the new Streamtime delivers that. Final word (in my opinion) Streamtime is for an organisation that wants the tools to help their people grow through being able to concentrate on the work, not the system. Hey Sam, mind reading is on our TO DO list - I actually knew you we're going to say that. Pros: I find streamtime very user friendly and super fast to pick up for any firm. I have recommended it to my girlfirends design firm to use as their current way of tracking time is very inefficient. Cons: I wish streamtime had a way at the bottom to see the total time of work I put in per day after I have already logged it. It works great when it is unlogged and I can look in the right corner in the to do number but once I log it, there is no way of me knowing unless I add up my time on my own. I like the weekly total breakdown on the write but I wish there was a daily number under each day! Overall: Great software and best/easy way to track time and expenses that I have came across so far in my career! Hi Ryan, thanks for your review! Just letting you know that if you pick up and drag that black divider bar on your TO DO screen you will see the total hours tracked per day. Pros: Organising employees time with per day to-do lists with hour estimates is *brilliant*. We used to rely on Teamweek - which was excellent for high level project tracking. But now when fleshing out project timelines, it automatically sets up peoples weeks for them. Thats what makes Streamtime killer af. The rest of the features just make *that* feature more and more useful and harder to give up. The integration between all aspects of running our business is *excellent*. Moving away from detailed time keeping via a timer has been great in many ways and for most of the team means they can focus on the work and drag down work as it's done. However, as we're finding the integration with so many more aspects is so good - and some employees can now track time much easier so do a better job - ironically we're starting to care more about time records than ever before because we can actually make business decisions based on them. (More on that below). Priorities was the last missing piece that really made it possible to move off almost all other platforms in favour of this as a central tool. We still use Trello to manage the smaller tasks within a project, we know there are sub tasks but our projects often result in 100s of smaller tasks being made/archived/reassigned so for now we're unable to move to subtasks to do this. - Scrolling sideways often leads to jumps in whole months when I only wanted to see the next/previous week. - When I do scroll to the next week/month it often reloads existing tiles and then takes quite a while (rarely less than 5s - we have 100mb/s down and 40mb/s up so our connection isn't the issue. As someone who spends hours looking at these screen this can be quite irritating. That said it provides a huge amount of benefit so I put up with that slowness - however I know other people in the team don't use it because it's so slow and they don't use the rest of the product enough to realise the slowness is worth it (quoting, schedule>jobs view, reporting, review time logs etc). Lists not being reorderable in priorities is quite a pain. I've resorted to adding 2 temporary lists at the start so that if I ever need to add a new column its a heap less work. ... Streamtime. I feel like there must be a middle ground. Perhaps an extension that logs to the To Do? Hell... we'd probably pay for an extension that did that just to get better records from those 2 employees. I can understand sticking to your game plan, but in reality you have a product that goes further than the "lets kill timers" ethos - could be worth backing down on that a bit for the sake of your users. - Using Priorities to track the overall state of each project (To quote, Quote sent, Ready to start, Design, Dev, Ready to invoice, Invoiced etc). - Letting employees know what they should work on this week. This is an awesome review Jonny and the good news we are addressing speed and these things, I'll reach out to you personally and see if you can help with our testing. Pros: Streamtime is great. It looks good and it does what it's meant to do. What sets it apart from others is the prompt, valuable and reliable after sales service. Every single time I've had a problem - usually my lack of knowledge - the guys online have been quick to respond and solve the issue. In an industry where time=money, that service is worth millions. Cons: I don't want the company name on the invoices by default. In my case, it's repetitive. My company name is in the logo above, then printed below. Looks a bit odd. Pros: Running a design team means that we need to be really good at planning, tracking and reporting on projects. I was looking for something really good at doing this and spent a good few months and lots of free trials on other software. From the start, Streamtime felt like a great fit for our business. A well structured and elegantly simple layout made it easy to get started. As we started to use it we then discovered that there were lots of additional features that made it possible to do all of things that happen when projects change. Its obvious that there has been alot of thinking behind Streamtime that makes it very useable with real world projects. On top of this there is a sense of fun and good humour in the software that helps make it enjoyable when you are using everyday. Cons: I don't have a long list of things that I like the least about the software. I would like to see more integrations. Bottom line, switching to Streamtime has made us money. Pros: It's improved our working practises. Putting all our planning and measuring tools in one easy/fun to use interface has improved our efficiency and accuracy no end. We now quote more accurately and quickly. This then seamlessly turns into the planning of the job. Then that plan becomes a to do list for our designers, replacing our previously inaccurate live timesheet. All and every detail of a job's time and cost can then be analysed and improved for next time. What more could you want. Firing the quote straight up to Xero to invoice would be perfect. Well it does that too. Cons: Sometime page loads are a little laggy. Overall: It's made us work more efficiently. It's allowed to plan projects better. It has improved our profitability on jobs. Every couple of weeks we add more performance increases and our updated Scheduling is very close to going live so I'm keen to get that in your hands. It's not 100%, but it's very very good, and I am confident recommending it to other agencies. Pros: It's very flexible, allowing us to use it in different ways for different clients. The drag and drop task manager is very helpful, and it's easy to record time spent on different projects. The support team is awesome, and they continue to listen to feedback and release updates in a timely manner. Their communication with their users is spot on with how they communicate and how often they communicate. Cons: It's sometimes difficult to remember how to do the more advanced tasks that aren't part of the daily routine. The "jobs" page tends to take awhile to load when you have a lot of jobs stored in the system, but this has been improved somewhat in the past 6 months. Overall: It streamlines project management, makes recording time easy, and shows at a glance how much time the entire team has contributed towards a project. Pros: Scheduling tasks on per day basis is very helpful, but also having the ability to schedule longer task across days/weeks. StreamTime also has a very powerful budget reporting so we're able to check how a project is going to budget and make decisions accordingly. Cons: The only con is the amount of detail you can add per task and in saying that we now prefer not to keep too much information per task in StreamTime such as developer briefs, screenshots, files etc. Overall: Now that I'm familiar with the functionality and features it's very easy to jump in and jump out when I need, the user interface did take sometime to get used to; it's not a carbon copy of other systems and works very well for what we need. The support and feedback process is very good, new features and requests for feedback and great and you can see StreamTime progress. Pros: Easy of use has to be the foremost, love the planning as it's quick and easy for both management and staff. 4. It would be great if we could add different qty's into an expense, so one item could have Qty of 100, 200, 300 etc. Also I would love to be able to add lines to a quote, so an expense could have the unit price on one line, delivery on another and setup on another (for example). Overall: It's allowed us to update our very old system into a user-friendly online tool that all of our staff can use. 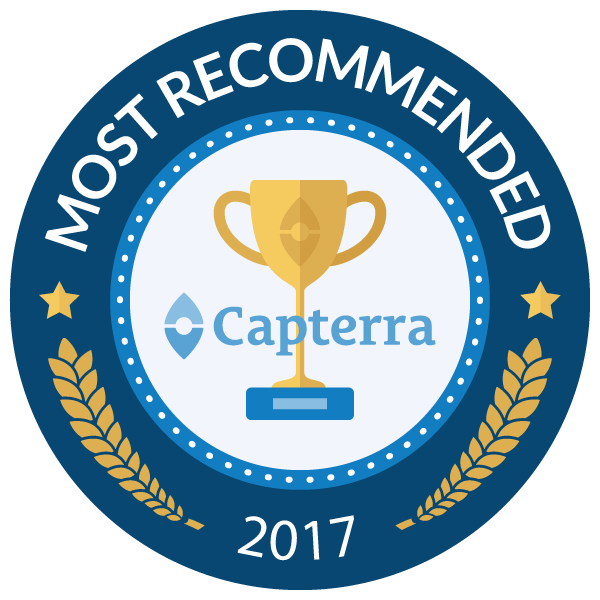 Pros: After comparing half a dozen different business management apps, Streamtime stood out as the most intuitive and well-thought out. I love the direct relationship between scheduling and timesheets, a unique element that sets it apart. It has the perfect balance between detail and looseness that makes it easy to record information and extract useful reporting. The reporting filters have recently been vastly improved, making analysis a breeze. Though the new scheduling interface will improve it greatly, it's already a very easy-to-use resource scheduling tool. Cons: The big drawback is that Streamtime is best suited to time and materials project planning, which as an architecture studio we don't use. I'd love to see better tools for long format fixed fee projects. The interface is just so good though that we've found workarounds to make this work for us for the time being! Overall: Streamtime has helped us manage our goals-oriented project planning really effectively. It's also made project budgets super transparent, which has allowed our team to get involved with the profitability of our business. Reporting for payroll and time management are very helpful too. Thanks Warwick for your kinds words. Its great to see so many Architects coming on board. We made some recent changes to help with the fixed fee projects and we are not done yet! Pros: Streamtime has helped to revolutionise our business. It not only is a tool we use daily but integral to business development. We use it on an ongoing basis to fine tune what we do with respects to processes & procedures. It helps us be agile and can flex with our growth. Support is second to none too! Cons: In all honesty there is nothing that I could comment about regarding cons. Streamtime has consistently delivered for us as a business and continues to develop to help both management, project managers, designers and the finance team! Pros: It's extremely easy to set-up jobs and allocate time. It's just as easy to view who is working on what and amend workload based on sickness, holidays or shifts in deadlines. I can easily set-up projects months in advance and book time in for all areas of the business. It's made us far more efficient and productive as a team too. It's pretty faultless. Cons: It can be a little buggy at times. Slow loading and having to refresh to ensure things have updated. Although, I'm putting that down to our network connection rather than faults anywhere else. Overall: I'm a Design Studio Manager working client side. I've a team of 5 designers who work with all areas of the business to produce adverts and comms. We invested in StreamTime after a friend of mine suggested we look into it. In short, it's simply brilliant. Extremely easy to use, my designers and I can manage our time and projects, collaborate seamlessly across jobs and, more recently, run analytics to show which areas of the business impact us most in terms of time and amends. StreamTime is a weapon any creative should have in their arsenal. Recommendations to other buyers: If you're a freelancer, or you run a small team of creatives / designers - BUY THIS. It's an indispensable piece of kit. Thanks Adam, we've been working hard on performance as we have scaled and had such a big influx of users (good and bad!) Things should be sweet now though. Appreciate your kind words. Pros: We love the To Do list, makes time sheets a breeze. Moving through the different functionalities (project planning, quoting, invoicing, reconciling, timesheet reports) is simple - and beautiful!. Cons: If you need to work on complex quotes for series of similar projects, ST is not your best bet. Streamtime is a fabulous source of data, but I still rely on spreadsheets for accurate reporting. Overall: It streamlined all our planning. It's our one-stop shop for all things projects. We run through it every morning with the team and rely on it as our source of truth. Pros: The Streamtime team seem very receptive to comments on improvement or issues I may have had. I am always incredibly impressed by their personal response. This program is so simple to use it thankfully avoids the lengthy customisation time often required of other similar products on the market. Cons: The lack of timer originally seemed quite a frustrating element. After using this feature for a period of time I feel it has improved my way of working. Overall: The ease of use, functionality and beautiful design of this product ensures there is no reasonable excuse for being disorganised when it comes to workflow. Streamtime makes job and time management a simple task to enable my studio to spend their valuable time in design rather than administration. The weekly view feature allows for realistic targets for jobs to be maintained rather than the 'wishful thinking' format of my working past. 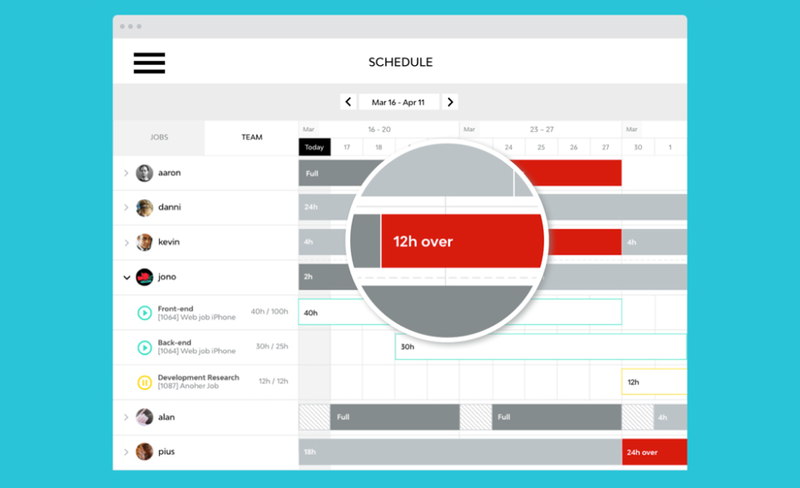 The ease of seeing all team members schedules enables job distribution and tracking streamlines the approach to office time management. Recommendations to other buyers: Regardless of whether you are a sole operator or larger studio I believe the flexibility and ease of use of Streamtime will positively contribute to your business operation. Hey Cherise, I'm so glad your life has changed now you've ditched your stopwatch timer on jobs :) Its the future.. Humans not Robots. Pros: It's really simple and perfect for us as a design agency. It's stripped back, visual and efficient. Cons: It's not the best/simplest for keeping notes on specific projects and understanding what stage things are at at a glance (and being able to share with clients). For example, if we have 5 projects ongoing for one client, we'd like to be able to have the status (in progress, on hold, waiting for feedback etc.) colour coded, with options to add notes and in a format that can be shared with clients. Overall: It's the best way for us to schedule in projects in our busy team, manage deadlines and have a clear indication of how much time we're spending on everything. It's also super useful for sending quotes to clients. Great tool for helping productivity, planning and integration with Xero. Intuitive and simple. Pros: Fits with the way a modern agency works and the Streamtime team have really listened and studied an agencies workflow. Streamtime is simple to use and is really helping us manage our costs and time without it getting in the way. The software has been embraced by project managers and designers and is a seamless resource for ensuring everyone knows what they have to get done. Quotes and invoicing are logically structured, well designed and can be emailed directly to clients for approval. Pros: The ability to be able to plan projects, see costs and hours, assign to team members, track hours and invoice makes it perfect for our studio. The combination of being able to schedule teams hours, easily see availability and manage your own time in a seamless and visually engaging way is awesome. When I say engaging, I mean it's beautifully designed for a great experience in a task that's usually boring and painful. Overall: Better studio management. More effective use of planned budgets. More efficiency in admin and invoicing. Seamless integration into our own internal studio process. Best of all its a great user experience and looks great too. Pros: It's helped me get much more organised and productive as a creative professional. Their understanding of what it takes to be a modern brand and the value they've placed in the design and the smallest details of their product is inspiring. The staff are excellent and do all they can to help you. I've found the people behind it are very passionate about continuing to improve. Cons: Not much. It's a little bit of a learning curve to get used to but isn't everything? The opportunity to be creative with it would be nice. Invoices that you generate are a little limiting, but is probably a necessary limitation. If you are a creative agency, you need Streamtime in your life! Pros: Streamtime is so easy to use and most importantly looks amazing! I use the software for implementing all our jobs across the studio schedule which also helps my team plan and manage their own time and job schedule. The regular updates by the Streamtime team also prove to me that they really care about this product and listen to all feedback they gain from the users. The updates just keep making this product better and better and we have seen a massive evolution even within 12 months of using! Thank you Streamtime! 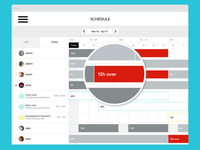 Overall: Streamtime allows users & teams to be more organised throughout the studio. It appeals to all areas of the business including Management, Admin and Designers which makes it unique and so beneficial to the creative industry. Thanks Simon, we're always trying to make it better and love hearing client feedback. Cheers! Pros: I love how easy it is to manage outstanding tasks. We usually have a list of occurring jobs as well as new jobs that come in. Scheduling them and tracking back saved me so many times. It's become out primary workflow tool in our company (replacing an Excel doc). Cons: I really don't like the fact that there's still no android application. But more serious if there are a huge list of open jobs, you tend to forget to scroll to find the rest. Overall: Organizing workflow has been something we've tried to fix for quite some time. Now other stakeholders can see what we have on our schedules and plan their deadlines accordingly. Streamtimes like a digital traffic manager. Beautiful, simple and easy to use time management. Cons: Nothing really but I guess limited features as it is new and still being developed. Overall: I started using Streamtime after searching and trialling many other products. After finding this one and watching a few of the vblogs on their website I knew that this was the one for me and that the team behind it had the same idea and thoughts as to what this sort of software should be like to use. Although it is still quite new and some features are still being developed I have confidence in the team and that this will continue to evolve into something even greater. It has actually made me start to enjoy planning and tracking my workload, before it was a task and nothing I had found was flexible enough to keep up with the constantly updating task workload, especially when under pressure and on tight deadlines the normal time where keep track of things and recording time goes out the window. Recommendations to other buyers: Just give it a go and check out their blog. Cons: We were in contact with customer support several times and most request were fulfilled. Where we still see difficulties is in changing currencies (we are charging different currencies to different global clients) as well as in adding team members solely for some projects (NOT being able to see all the other projects we are working on). Thanks so much Aimee, really appreciated ! Pros: It helps us keep all the jobs on track and gives a clear picture as to which jobs are financially 'winning' for our company. Its indispensable for me for many years! We used it as an offline service in the past - the web based version is so much more useful and way better designed too. Overall: It is a lot more intuitive now than maybe in the beginning when it launched but there are so many frequent useful updates it is not even an issue. It's an incredibly useful tool, as a middleweight designer, for logging hours, cuing hours for team. Pros: The ease of use, flexibility, transparency, and UI quirkiness. It's also very good at conveying breakdowns of tasks to clients when needed. Overall: It's an incredibly useful tool, as a middleweight designer, for logging hours, cuing hours for team members, and quoting for jobs. Pros: That I can do everything in the one piece of software in a user friendly way. Quoting, invoicing, project management, scheduling, reporting. It's all there without being overwhelming. Cons: Would love to see some to-do list style integration. Sometimes I don't realise the full power of new features, but the emails I now get from Streamtime announcing updates have great videos and instructions so it isn't an issue anymore. Overall: Such an efficient piece of software, it is beautifully designed so we actually like using it and tracking time is no longer a chore. Pros: I like that Streamtime tracks my hours using visual blocks. It helps me understand where my hours are going easier. It's also super clear whats left on the budget which I like. I like that I could plan my week and get a quick visual of where my time will go. I like that there are various ways you can track your time. IE - I like to search the jobs using job numbers or project names - other people in the team prefer to drag and drop from the side panel. It's cool that Streamtime has allowed for different working styles. All of this means it's so much easier to use than the last job tracker I had. Overall: It made tracking my hours faster and easier. It's no longer a grind. Pros: Its functionality and ease of use. The customer service is always really helpful and I have always been responded to quickly and clearly. Cons: I missed that the upgrade doesn't have the same print job sheet feature. And I miss the stop watch time tracker. Overall: Streamtime understands the graphic design industry and helps me project manage and track my jobs efficiently. Pros: I like the simplicity of the interface. It is a friendly looking site and very easy for my team to enter their time into. Cons: I feel there is still room for improvement. There are certain bits of data that dont get pulled through for each project / job. Overall: It is easy for my team to enter their time for each project. It is easy to use and navigate through. Overall: Love Streamtime and hope they can expand the timeline option further. I would highly recommend to anyone. 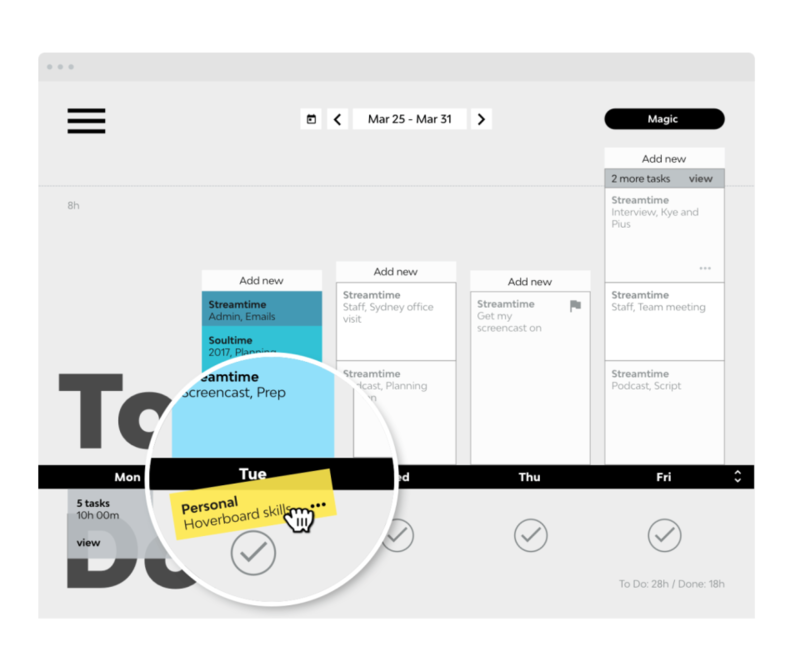 Pros: The 'To Do' list is a perfect tool for creatives as it allows them to quickly organise their day. They also love the drag and drop feature as it eliminates manual entries. From a management perspective we can see everything in one place and quickly assign job as required. The 'To Do' list is really one of many great features of this program. Cons: Truthfully, I wish our company had adopted this software earlier as it's made operating the business and managing teams much easier! Pros: What I like the most about the software is that it is fast and super simple to use. It's very intuitive, it's well design and there are constant improvements. Overall: Streamtime helps us organised the studio and have a clear view on who's working on what and what else is coming. It gives us visibility and therefore the ability to plan and engage resources better, saving us money and time. Pros: The daily time-tracking and to do functionality is an amazingly visual way of mapping out daily and weekly schedule. The adjustable project time blocks have helped to improve our time management skills as it feels awful adding more time and great reducing the time taken. Also, being able to invoice the client directly from Streamtime based on the hours spent on a project fits seamlessly into our work flow. Cons: Originally, we found it frustrating that there was no timer function. However, after using the adjustable project time blocks for a couple weeks, this became a big positive! Overall: Overall, Streamtime has been an easy and intuitive project to use that has helped to not only improve in-office process but also project and time management. Recommendations to other buyers: Even though the product may seem different at the beginning, push through the unfamiliar as it will help you to build better work processes and habits. Cheers Zak, Its amazing how many people think they need a timer but they are so demotivating and demoralising - Humans not Robots! I haven't come across anyone yet who regrets ditching a stopwatch while they are working. Cons: When listing projects throughout the day I can't see the name of the project, just the item I'm working on, so it's inconvenient to add time to a project that I've already added. Mostly I'm working on similar items for each project so my list is just all the same. If the list was the project names it would be alot faster to modify. A perfect balance of power and flexibility. Pros: Smart UX-first design and development just makes any task feel natural and logical. Single click, real time editing. Interconnectivity between all the areas of the platform makes movement and navigation a breeze. Cons: Items on the To Do screen give priority to the name of the task rather than project number or name which makes it harder to scroll through and identify. However the search filter is pretty slick so it's not that much of a biggy. Overall: Streamtime has made the set up and management of our creative studio projects much simpler and transparent. As well as being an absolute pleasure to use. Cons: It was a trial run for me from the beginning, with having to self learn many options, wish there were some self-help videos. However I do believe most apps require that kind of investment to familiarise oneself with its functions. Overall: It did make scheduling and maintaining to-do tasks/lists much easier, especially given many options in moving and changing the tasks without much hassle. The drop and drag options really elevates the kick I get from finishing/completing my tasks on time. Definitely a fun and an efficient way of keeping track of your work and responsibilities without it being made dull of an event. Thanks Sue, We can't find your company or yourself in our system to reach out but we do have a lot of self help videos at help.streamtime.net and on our vimeo channel. We also offer free one on one's if you prefer. Pros: I love Streamtime. It works just as we want it to and keeps us super organised. The site has a great tone of voice and I love the little characters etc. that pop up along the way. Cons: There are a couple of kinks sometimes with Streamtime - some of the functionality can be a little klunky at times (like adding on a new job - sometimes there's a delay in moving between sections to add the information) but they are good at continually working to improve things. Easy to use job creation, and simple time spent tracking. on TO DO screen, My Items hard to work out at a glance. All jobs look the same. Colour-coding or another option could help. Reporting option would be great. Amount earned in last quarter or year etc, hours. Overall: Great way to visualise where projects are at, limit paper/print use and get jobs and job-flow organised. Overall: Our team has transitioned to the new cloud-based streamtime effortlessly. The new interface is easy to use and well laid out. It makes managing our creative team so much easier. Our shift to Streamtime has brought about a major increase in our studio wide efficiency. Pros: Streamtime helps me capture the time spent on a wide variety of tasks (items) and then invoice the client from within the same application. It is seamless and quick. It also allows me to pre-plan my week and allocate resources within my studio so I know precisely who is doing what and when. Cons: Generating quotes variations can be a little clunky. Needs a better way of managing the inevitable variations that come with estimating design work. Overall: Efficiency of time management, better structure around job creation, ability to quickly invoice for ad hoc time spent, ability to quickly edit and assign unplanned time to items/jobs. Pros: It's extremely clear and easy to use. When there's limited time in the day then you need a programme like Streamtime which is straightforward and to the point. Cons: Nothing! You've addressed the problems I had with the last version in terms of looking through jobs . Pros: This system is so easy to use on a day to day basis and then great at the end of the week/month for reporting. Ryan and the team are also fantastic help when you are initially learning and have complicated questions when in the deep end. I'd recommend this product to everyone! Cons: Can't fault it! Any little review/issue item has been fixed or explained by the team and has then made the system even easier to use. Overall: It has made my day to day life so much easier, from planning my time, doing my timesheet, quoting and invoicing clients and updating my manager. Great product for any size business! I'd recommend it to everyone! Efficient and easy. Definitely recommend. Pros: I love that this program is very efficient. It's also easy to use. I use this for a lot of digital and graphic design. I've managed to make a good amount of money using Streamtime and it's been great and my clients have both been kind and cooperative. When contacting customer support, they were nothing but kind to me. Cons: Some clients of mine live around the globe so it would be great if different kinds of currencies could be utilized. Many Thanks for the review. We do support multi currency in Streamtime now so drop us a chat inside the app and we can show you how to set that up!